This Celeb Couple’s Pics Will Make You Miss Your Guy Even More! 2. Because all we need is somebody to lean on! 3. Weight lifting? More like bae lifting! 4. They’re a match made in heaven! Just look at them, they look so perfect together! 5. Aww… He looks at her the way we look at pizza! 6. Every girl deserves a guy whom she can be totally weird with! 7. The three musketeers! Aren’t they super cute? 8. This one is our favourite. Could they be any more adorable? 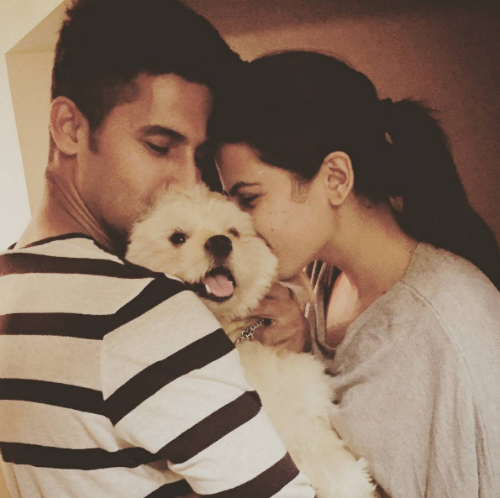 Image: Sargun Mehta on Instagram Who else has started to miss their boyfriend after looking at these pictures?